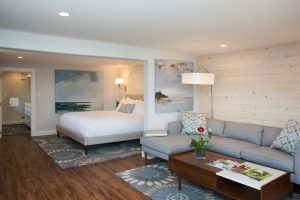 When you make reservations at Topside Inn, you get much more than a place to stay. It’s an exceptional experience inclusive of beautiful views, friendly service, and luxurious amenities. 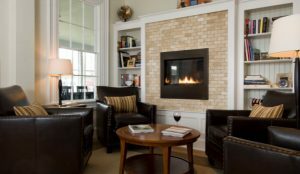 Part of what sets us apart from other Boothbay Harbor hotels are the thoughtful touches we add to your stay, like homemade breakfasts made fresh with ingredients from our gardens and cocktail hours with tasty hors d’oeuvres. Find out what you can expect to find throughout the inn and inside your room! You’re welcome to enjoy a variety of fantastic amenities throughout Topside Inn at no extra charge. They’re all included in your room rate! Beer, wine, and cocktails from 2:00 p.m. to 7:00 p.m. Step inside your room and discover a whole suite of additional amenities waiting for you. Here’s what you’ll find inside! Check our availability today and take the next step toward a memorable trip. 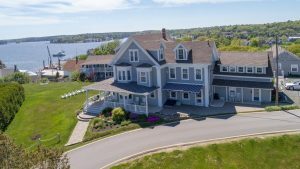 We look forward to seeing you at Topside Inn and making your stay special!